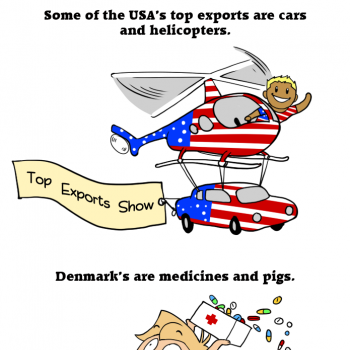 There are several stories about Denmark being made up of parts of other Nordic countries. First there's the story about Denmark being made out of sand from Norway that got pushed down during the last ice age. Then there's the story of the Danish woman who was told she could have as much Swedish land as she could plow around in a night, so she turned her four sons into oxes, and the land she got from the deal became a huge lake in Sweden and Zealand in Denmark. And finally there's the story of the Danish boy who stole from a giant in Finland, then quickly got in his boat to sail back home, but the giant found out, picked up a handful of dirt and threw it at the boy, and that is how all the Danish islands were created. "...Perkele" when Finland realizes that he just lost his fapping hand..
o_o Where did the heads come from?? Icey? Personally, I don’t think Finland agreed to this. I believe Sweden has lost his sanity. And his eye and left forearm. I like how this pictures description jumped from "Scientific Glacial Movement" to "A giant threw an island at a boy". 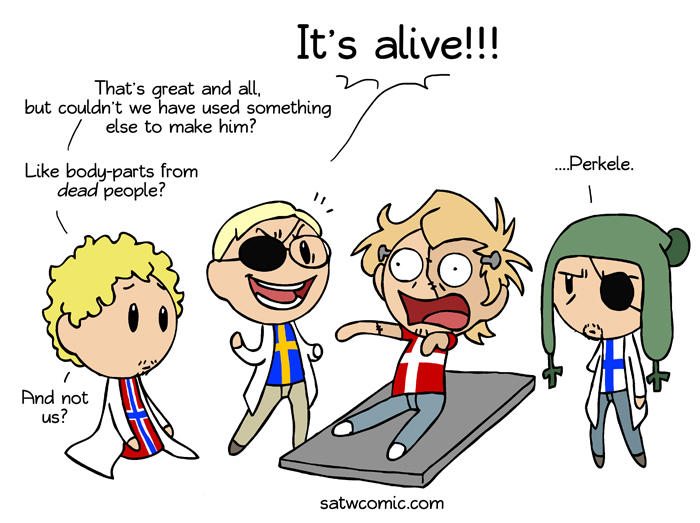 Isn't it ironic that Sweden is depicted as the evil genius having created Denmark and being all "muhaha it's alive", and that Denmark proceeds to annoy Sweden more than anyone else? But on the other hand, the creature from Frankenstein may also have turned against its creator*, so this is in the spirit of that I guess. *I think, but I'm not very familiar with the story, I just heard things about it and am not even sure anymore if this was one if them. 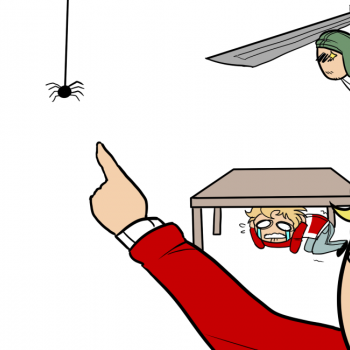 Finland does not approve... I think.... I don't even know.